[KTravel] Mega Shopping Mall in Seoul, South Korea - 짱이뻐! Getting in tune with the latest trend of “malling,” the Korea Tourism Organization (KTO) carefully selected four outstanding malls that are setting the standard. Two of them, Parnas and COEX Mall of Gangnam, have been seeing a dramatic rise in popularity among both domestic and international visitors through their multinational fashion brands and premium food and beverage outlets. In addition to Parnas and COEX Malls, Famille Station, conveniently located between Shinsegae Department Store (Gangnam Branch) and Seoul Express Bus Terminal, carries an upscale feel suited to high-end consumers and has been gaining a reputation among many. Yeouido IFC Mall, the largest mall in Korea, is situated in the west end of Seoul. After the recent renovation that included a variety of newly opened brands, IFC is now setting the latest malling trends through successfully launching their “total mall experience,” a concept that promotes visitors from all over the world to not just do their shopping, but also find high quality restaurants, entertainment centers, and a wide range of cultural experiences all under one roof. Last but not least, AK Mall (AK Plaza Department Store - Suwon Branch), located in Seoul’s suburb of Suwon, has been recently nicknamed a “shopper’s paradise” for its perfect integration of first-class premium shops and large discount stores. Pop-up shops, brand collaborations, and premium outlets draw the attention of those hunting for an impressive atmosphere and a trendy shopping experience. 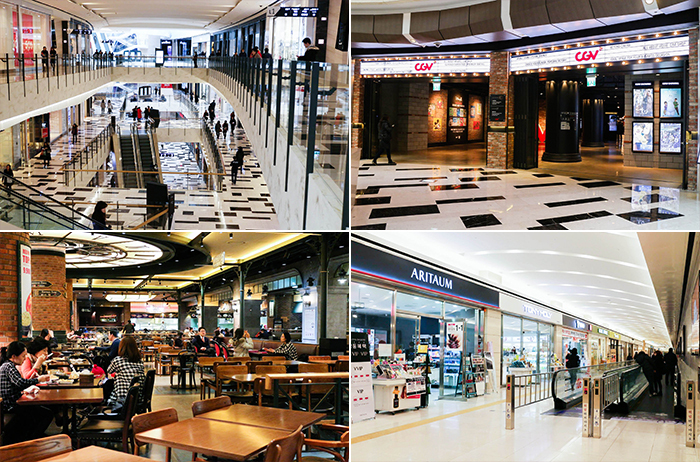 The most popular food and beverage outlets in Gangnam and Shinsegae Department Stores are part of these popular malls in order to entice shoppers. One of the best parts is that these mega malls are all indoors, meaning good weather is no longer required to have fun all year long. Decorated with an assortment of themes, these malls have garnered considerable popularity even among window shoppers. ☞ Directions: Samseong Station (Seoul Subway Line 2) Exit 5 or 6. Enter COEX Mall through the connecting passageway. / Bongeunsa Station (Seoul Subway Line 9) Exit 6. Cross the road and walk left (south) for 120 m to reach COEX Mall. Parnas is directly connected to Samseong Station, COEX Mall, a casino, and Hyundai Department Store, The mall claims to be a premium casual mall complimented with a sophisticated interior design, not to mention a luxurious and stylish atmosphere Also, cultural events are held regularly in the halls of this complex, which keep visitors pouring in. ☞ Directions: Samseong Station (Seoul Subway Line 2) Exit 5 or 6. / Bongeunsa Station (Seoul Subway Line 9) Exit 6. Cross the road and walk left (south) for 120 m to reach COEX Mall. Follow signs through connecting passageway to Parnas Mall. ☞ Brand information: [Fashion] Allsaints, Il Bisonte, Parsons. W, Millefiori, etc. 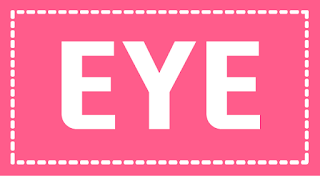 / [Food and beverage] Junior’s Bakery & J’s Coffee, KuKuRuZa Gourmet Popcorn, Ramen Hansungmungo, etc. S.M. 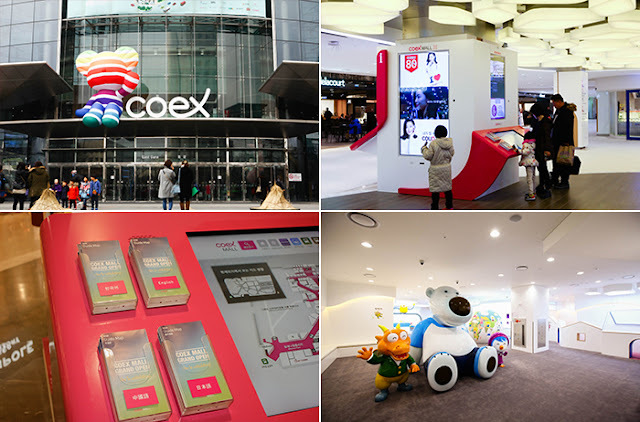 Entertainment, one of Korea’s largest entertainment companies, unveiled the building to immense fanfare in 2015 following the re-opening of COEX Mall. 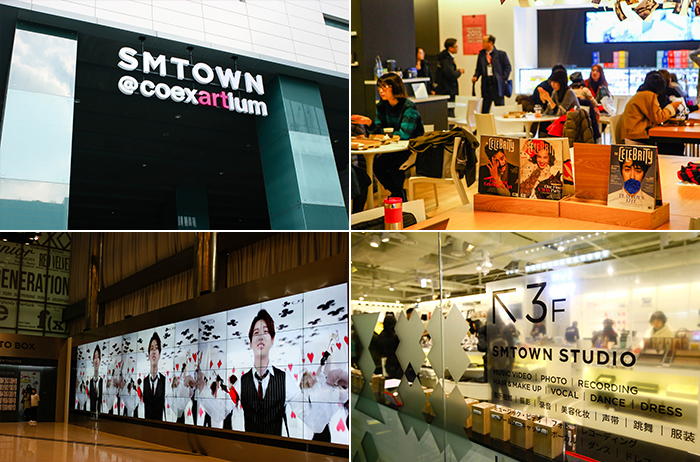 Boasting itself with its scale of 8,000 square meters, SM Town took the first step into this uncharted territory by inventing a multi-purpose hallyu culture space never before done. At the first floor’s “Welcome Zone,” visitors are welcomed by top SM celebrities and offered a variety of fun experiences as they walk up to the top for some shopping at SUM, a store filled with celebrity-related merchandises, then on to becoming a K-Pop star at SM Town studio, and finally winding down with some sweets or beverages at SM Town’s LIVErary Cafe. On the fifth and sixth floors is SM Town Theater, the first hologram theater in Korea, and is set to dazzle all its visitors with futuristic visual presentations. SUM Cafe on the fourth floor, is a must-see spot for all who wish to visit SM Town. It features limited edition desserts inspired by SM artists in collaboration with a famous dessert brand, as well as showcases SM artists’ personal items. 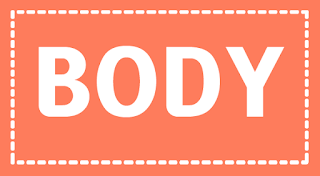 You can also create your own jukebox by recording your favorite songs here. Try not to lose track of time as you cruise along the lavish exhibit spaces and browse through the assortment of products. ☞ Directions: Samseong Station (Seoul Subway Line 2) Exit 5 & 6. 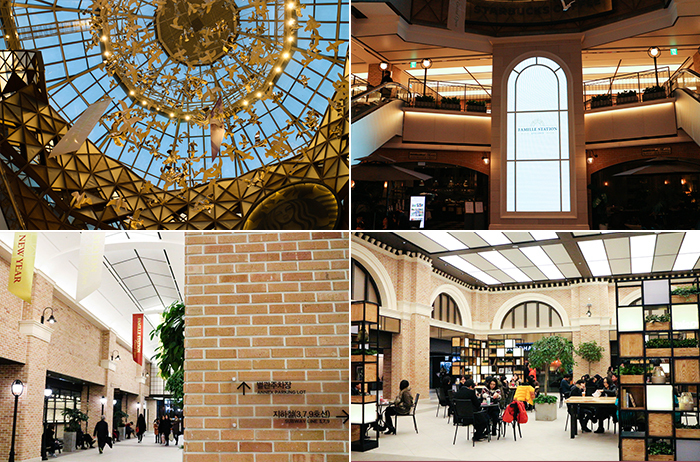 As an affiliate of the Shinsegae brand adjacent to Seoul Express Bus Terminal, Famille Station opened its doors to the public in November 2014 after a three-month renovation. To its credit, the area has now become more modernized and organized, as it houses famous food chains, allowing diners to cruise along the street and entertain great dining choices from the famous restaurants of Garosu-gil and Sinsa-dong, exclusive picks from restaurants and bars in Gyeongnidan-gil and Itaewon-dong, and hidden gems brought from Sangsu-dong in Mapo-gu. They are so irresistible that you won’t be able to leave the place on an empty stomach. For this reason, Famille Station it’s a common site to see heavy influxes of people making long lineups during lunch or dinner times. A variety of cuisines are available throughout Famille Station, everything from buffet-style Korean dining and Hamburg steakhouses to those looking for health-food options. The amount of options for customers is the reason so many don’t mind waiting an hour or two to sit down for a bite at this gourmet paradise. 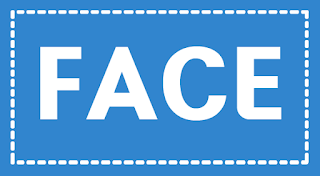 The mall is also situated in a convenient location, as it’s directly connected to Express Bus Terminal Subway Station, where Seoul Subway Lines 3, 7, and 9 intersect, making it even more appealing to tourists who look for a one-stop-for-all shopping experience. ☞ Directions: Express Bus Terminal Station (Seoul Subway Line 3, 7, 9) Exit 3. Follow signs through connecting passageway to Famille Plaza. Located in Yeouido, the home of the National Assembly, various broadcasting corporations and financial institutions, IFC Mall is an international-style shopping mall containing various global brands. On basement level 3 is a restaurant area with a European theme called Food Empire, where shoppers can satisfy their appetites with any kind of cuisine, including Korean, Indian, Southeast Asian, American, Japanese, and European. Across from Food Empire is CJ FoodWorld, owned and operated by CJ Group Across the street from IFC Mall is Yeouido Park, an excellent little haven to feel like you’ve escaped from the bustle of city life. And, if you walk just a little further, you will reach the Hangang River, an ideal place for family picnic. ☞ Directions: Yeouido Station (Seoul Subway Line 5, 9) Exit 3. Follow signs through the connecting passageway to IFC Mall. 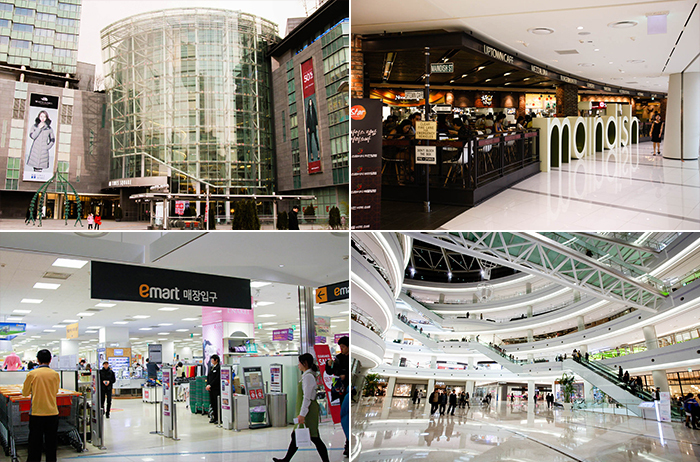 Located at Yeongdeungpo Station on Seoul Subway’s Line 1, Times Square serves the city of Seoul as a fully-equipped entertainment and culture space, with the Courtyard Marriot Hotel, Shinsegae Department Store, CGV Movie Theater, E-Mart, Kyobo Bookstore, Amoris Wedding Hall, as well as countless clothing stores and over 200 restaurants. Times Square also houses the world’s largest movie theater screen, as recorded by Guinness World Records. Is the largest open space of its kind in Asia, and extends all the way to the roof. 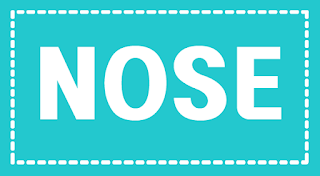 On Saturdays and Sundays, visitors can enjoy, and the venue also holds numerous launch events for global companies. You can also often find famous celebrities holding autograph sessions, and even TV broadcasts being filmed here, making it a place where shopping is only the beginning. ☞ Directions: Yeongdeungpo Station (Seoul Subway Line 1). Leave the station through Lotte Department Store. Cross the street and continue (northwest) for 150 m. Turn left and Times Square will be on your left after another 200 m.
AK Plaza, located at Suwon Station, has been Gyeonggi-do’s top shopping ground and one of the city’s landmarks. Since its opening in 2003, the shopping center has received much attention from both local and international visitors. AK Plaza embarked on a new plan to take another leap in December of 2014 after a huge renovation to offer even better shopping experiences for all. At the head of its renewal effort was the opening of the trendy AK &, AK Town and Novotel Ambassador Hotel, which has definitely added extra value and attracted additional visitors to the center. This latest fashion district that also has dining establishments and many entertainment facilities, including a movie theater, lead to its shopping and culture image. 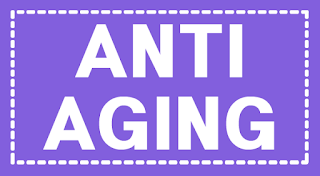 It also makes it a popular place for young adults and teenagers to hang out. 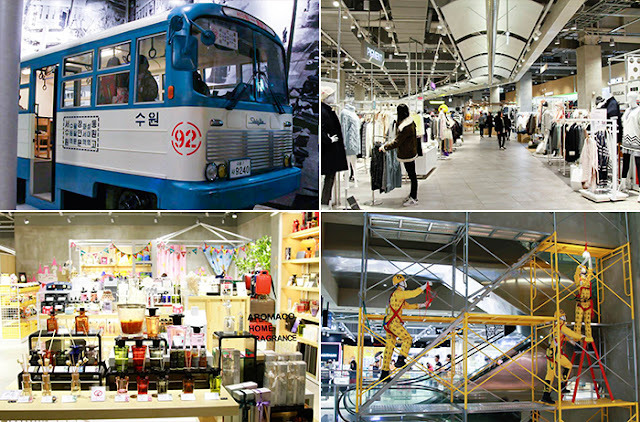 In particular is the basement level’s food street, which was designed to look like 1970s Korea, where you can check out all the cool retro artifacts after enjoying your lunch in a restored 1970s bus or train car. ☞ Directions: Suwon Station (Seoul Subway Line 1). Follow the passageway connected to the second floor of the plaza.